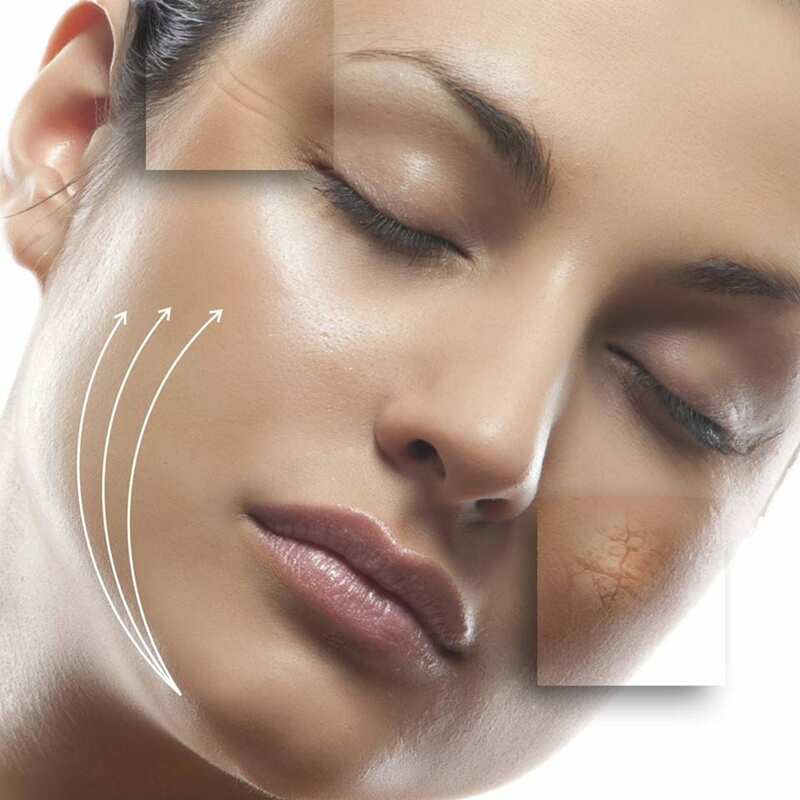 Meta Therapy is the latest innovation in the beauty industry and is being referred to as the “Facelift Alternative”. Meta Therapy stands for Medical & Esthetical Tension Activating Therapy. It is the newest form of skin rejuvenation, anti-aging, skin hydration and restoration with no side effects, bruising, scarring or costly surgical procedures. With Dermatude Meta Therapy, you are choosing the most natural way to restore the firm tone and texture of the skin – safely, while naturally plumping out fine lines and wrinkles. Results can be seen after one treatment! FOR WHO IS THIS TREATMENT SUITABLE? Meta Therapy is the solution for people who want more than skin care, but who aren’t ready for, or don’t want to go for treatments like botulin toxin injections and fillers. This unique new treatment is suitable for anyone 20 years or older for a variety of skin types, including dry to very dry skin, crackle skin, mature skin, damaged skin (for example, too much sun or tanning bed), post-operative skin, wrinkles, smoker’s skin or sagging skin. Meta Therapy works by creating invisible micro perforations in the skin using a Dermatude Meta-Ject FX 100 in a quick and safe way with little to no pain. This stimulates the natural healing mechanism to produce collagen and elastin, which repair the micro-perforations. This is a completely natural process. The skin becomes more firm and more elastic. Fine lines and wrinkles fade, pores refine, the blood circulation is stimulated and the overall skin condition improves. The micro perforations reach the basal cell layer, where new cells are created. There is no chance on the forming of subcutaneous scar tissue. There are no short or long-term effects with repeated applications. Meta Therapy is extremely effective and safe. Results can be seen after just one treatment! WHAT CAN I EXPECT FROM A META THERAPY TREATMENT? The Stem Cell Reactivator Subjectable contains PhytoCellTec™ Argan and peptides. This reactivating Subjectable has concentrated active ingredients to help stem cells to reproduce new skin cells for a healthy skin barrier. To protect the underlying cells with a powerful anti-aging and skin firming effect as result. Pigment Equalizer SubjectableMeta Therapy Subjectable with Arctostaphylos Uva Ursi & Mitracarpus Scaber. The strongly concentrated active ingredients soften and fade pigment spots and pigment accumulations, without aggressive bleaching of the skin. It brings back the balance in the melanin production. The skin regains a natural smooth and shining tone. WHAT ARE THE RESULTS AFTER A META THERAPY TREATMENT? Meta Therapy gives the same results as the skin improvement methods found with meso therapy, microdermabrasion, rollers and needling. The great advantage of Meta Therapy is that there is little or no recovery time, because the protective function of the skin is not affected. Meta Therapy can be applied to the entire face, neck or décolletage. CAN INDIVIDUAL WRINKLES BE TREATED? Yes! With special techniques, each wrinkle can be treated individually. Every single wrinkle can be treated. The skin will fill the wrinkle from the inside and the wrinkles are flatter with a youthful appearance as a result. No injections are performed and no fillers are injected. It is the skin itself that fills wrinkles from within. A 100% natural process. IS SPECIAL TRAINING REQUIRED TO PERFORM META THERAPY? Yes. Meta Therapy is a treatment that can be carried out by professional beauty specialists only. Seventh Wonder Holistic Spa Owner, Falli Shah, has been trained at the Dermatude headquarters on how to properly use the equipment and products.. This guarantees that the treatment will be applied according to Dermatude guidelines. Meta Therapy starts in a course of four weekly treatments. Then, the treatment is reduced to one treatment every two weeks for two months. After the eight recommended treatments, we recommend you come in as needed to retain your desired results which is usually one treatment every two to three months. Each session is $200. If you book in a series of four or eight a discount will be applied. A microcurrent facial emits extremely low-voltage electrical currents (hence ‘micro’ current), which mirror your own body’s electrical currents, on a cellular level to repair damaged skin and stimulate collagen and elastin production. The intensity is so slight that it would take one million microcurrent machines to light a 40-watt light bulb. This treatment is often referred to as “facial toning” because it’s like a workout for your face, whereby skin cells are broken down and then grow back stronger, the same way your muscles do after lifting weights. A microcurrent facial is ideal for anyone who wants to improve the appearance of their skin, whether they are more focused on an anti-aging or preventative treatment because it covers all the bases. It is safe and effective on all skin types and skin colors. Pregnant women and people with any kind of heart condition should avoid this treatment. As always, discuss any allergies or skin sensitivities with your cosmetic doctor or aesthetician before starting a treatment. The microcurrent facial uses two hand held prongs that deliver precise dosages of energy to the skin. As the aesthetician methodically moves the prongs around your face, you may feel a slight tingling sensation, but most say it’s surprisingly relaxing. Of course, you can expect all the other pleasures of a classic facial incorporated into the microcurrent facial, such as cleansing, exfoliating, moisturizing and facial massage. WHAT ARE THE SIDE EFFECTS OF MICROCURRENT FACIAL? There is no downtime and you can immediately go about your day…glowing like you’ve never have before. If you’ve had the treatment as part of a Optimized Facial or Premium Wonder Facial you may notice some redness, but nothing that makeup can’t hide. After your first treatment, you’ll have a firmer, glowing, more uplifted you. Your skin will appear tightened and hydrated. Your jaw line will be more defined, your cheekbones more pronounced, and your eyes will look younger and refreshed. However, the initial results are rather fleeting and vanish in a week or two. Results are cumulative, so after a series of sessions, the improvements are many and longer lasting. For sustained results, the recommended course of treatment is a series of 10 to 15 treatments within the first 6 weeks, followed by a 3-month maintenance schedule. A board certified dermatologist or licensed aesthetician who specializes in micro current therapy in the state of Florida.